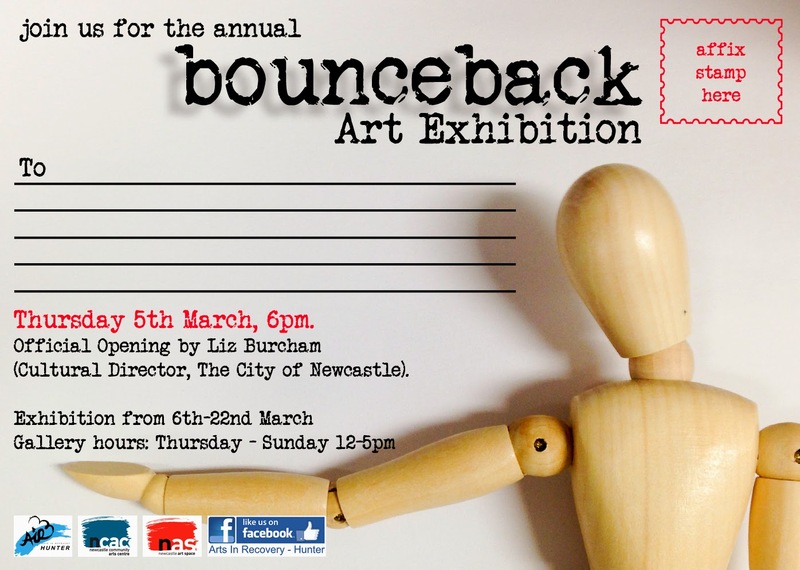 Ms Liz Burcham,The City of Newcastle’s Cultural Director will officially open the Bounceback art exhibition this Thursday 5th March at 6pm. The exhibition fills Gallery 1 and 2 in NAS and the Black Box Theatre space simultaneously. Some participants have taken part in monthly open self-directed learning workshops at NCAC over the past months while others have been working with art therapy activities under the guidance of health professionals, artists, family and carers. 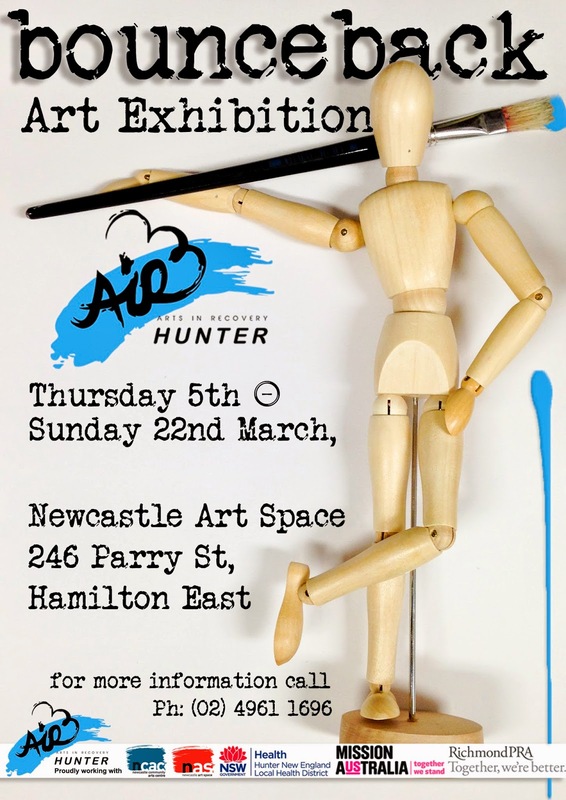 Some have already gained exhibiting experience in the arts. 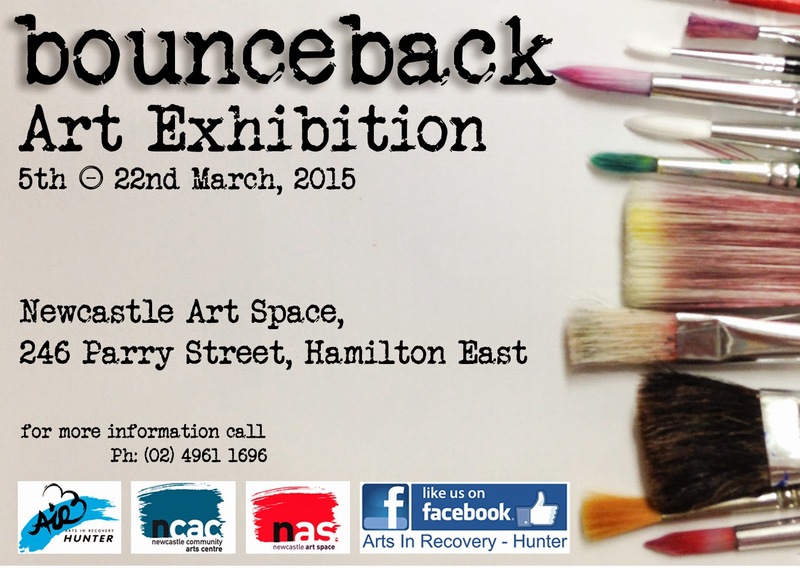 This exhibition is supported by the Arts In Recovery Programme, assisting participants to face and overcome their individual personal challenges in life while using artistic expression and art discovery to encourage these endeavours. There are walls of colour, darker images and overall powerful examples of imagination, interpretation and individuality. Step inside and experience art through their eyes where individual differences clearly unite us as one collective community.